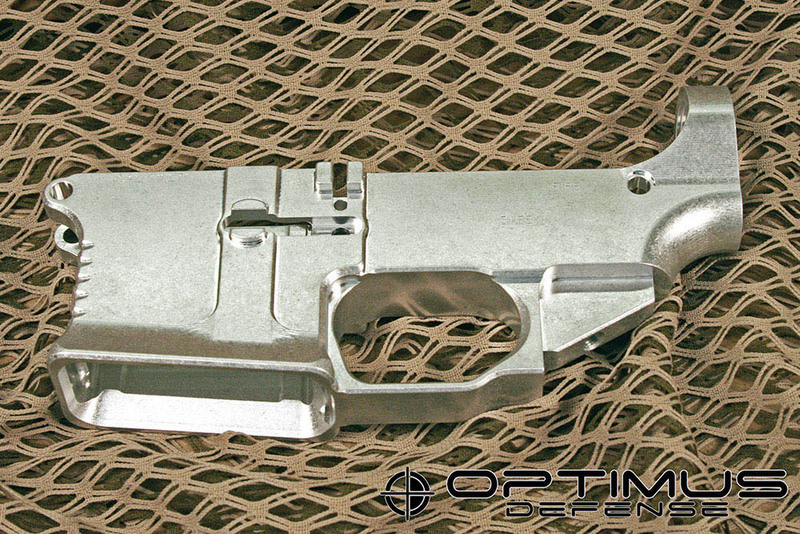 Optimus Defense AR-15 80% Lower was designed for the tactical and precision shooter who wants a lower capable of performing to the highest level. 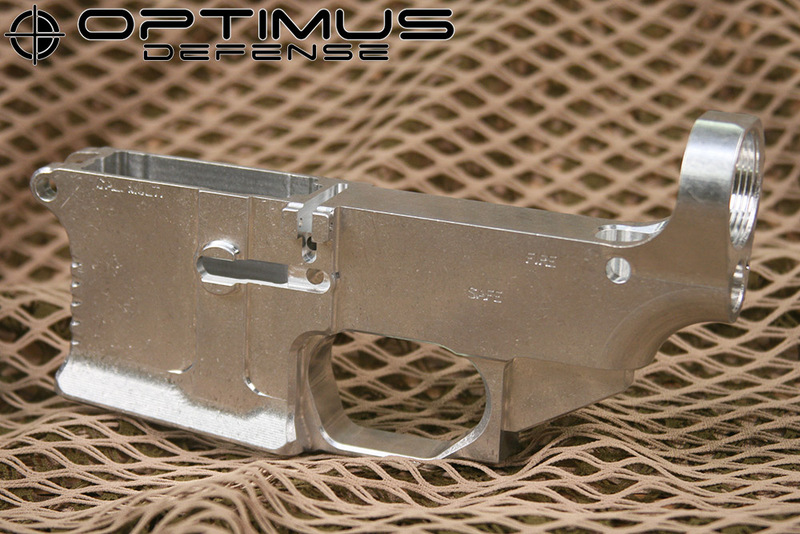 Several months of design, manufacturing, and testing went into the development of this product to create one of the best AR-15 80% Lowers. Precision machined out of 7075-T651 aluminum plate by a California company that manufactures parts for major aerospace companies. Flared and slightly oversized magwell with a 25 degree taper angle for smooth/fast magazine loading/unloading of both mil-spec metal magazines and also polymer magazines (tend to be slightly larger). Front of receiver is about 1/2" longer than mil-spec to allow for a better hold when using gloves or if you have big fingers. Solid and oversized winter trigger guard that is compatible with most gloves. Reinforced around buffer tube thread. Exterior edges are CNC chamfered to eliminate sharp corners or edges that can snag on clothing/gear or be uncomfortable to your hands. Tight fit (small side of mil-spec tolerances) for pivot & take-down pin holes, upper receiver lug slots, and upper mating profile. Reduces slop and rattle of lower to upper interface. 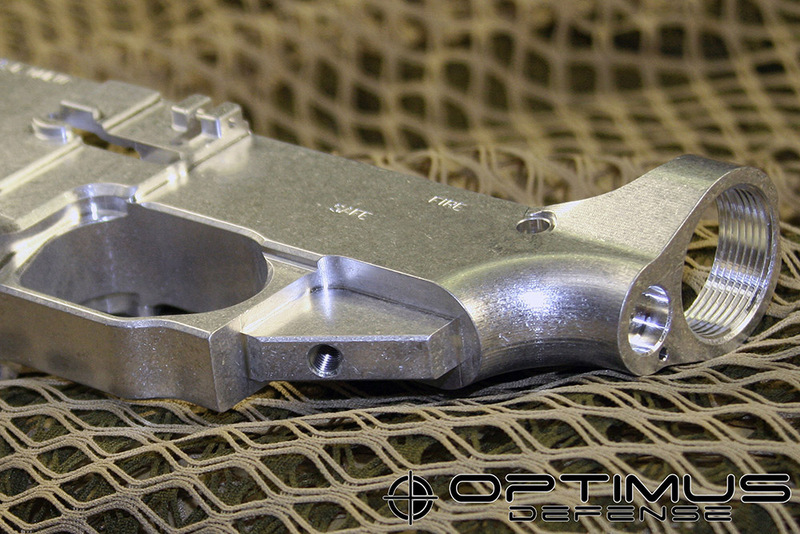 Optional mil-spec or easy install Pivot Pin Detent force. Vibro finished to remove sharp edges and machining marks. 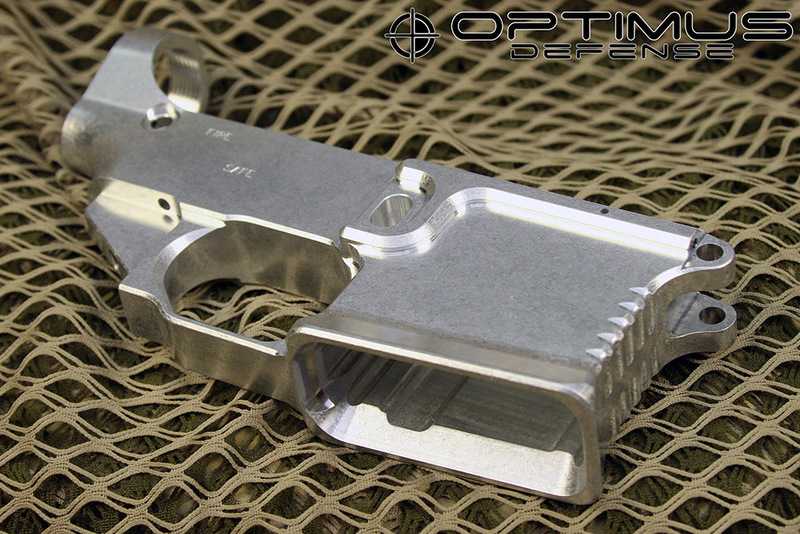 Compatible with mil-spec lower parts. Compatible with most pistol grips including grips that have a front tab, such as TangoDown grips. 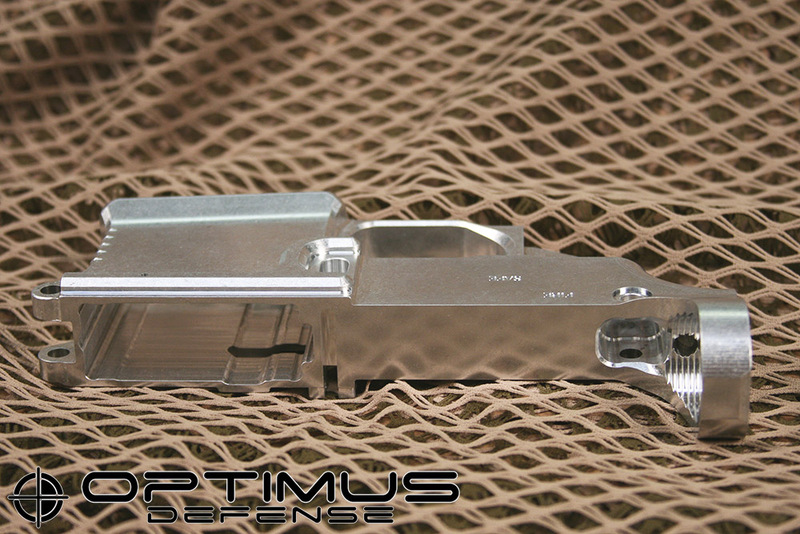 Compatible with mil-spec metal magazine and polymer magazines including Magpul Gen3 PMAGs. 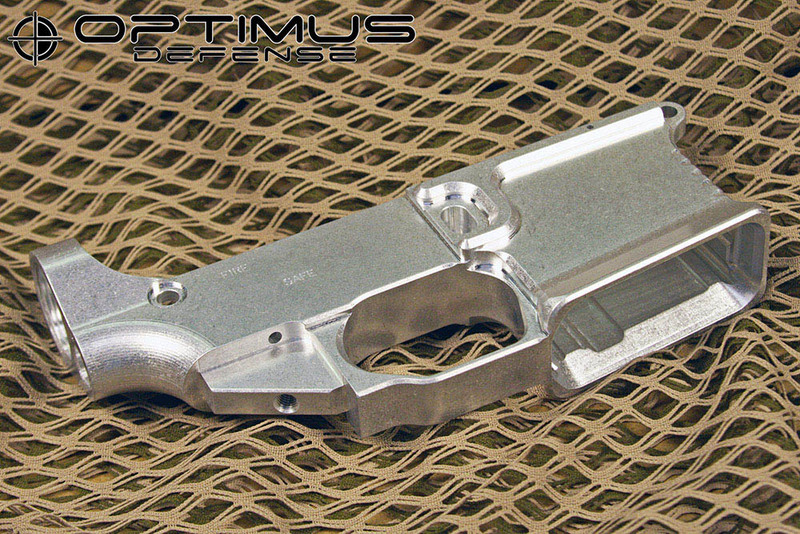 The lower was also designed to be easy for the user to complete the remaining machining necessary to make it a firearm. Bottom of trigger guard is parallel to upper receiver mating face, which allows the lower to be leveled and clamped easily in a vice. Slot for upper's rear take-down pin lug is already precision machined and chamfered for a tight fit. Can be painted (Cerakote is recommended), anodized, or just left in the vibro finished condition. 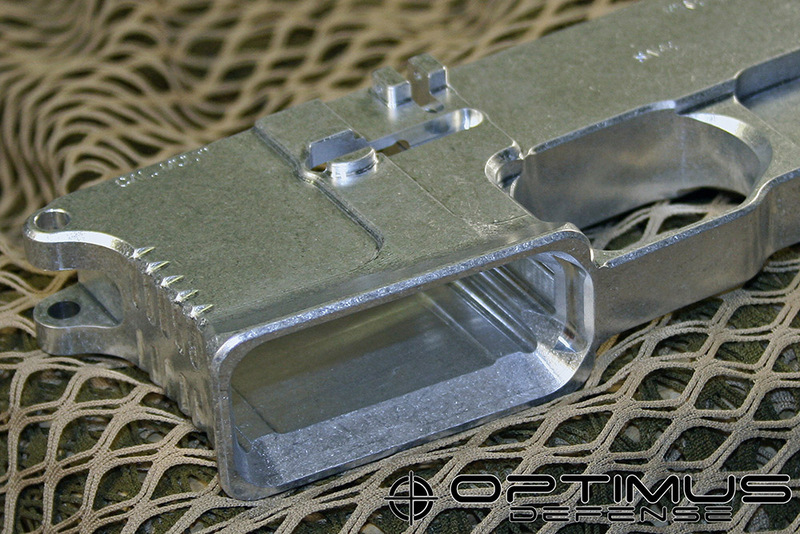 Compatible with most AR-15 lower drill jigs, and specificly fits the Optimus Defense AR-15 Drill Jig. CAD model for CNC programming. Drawing for manual machining dimensions. Completion Guides that shows how to maually mill or drill the receiver. No FFL required. This item is not a firearm. This is not a complete receiver. Machining of the trigger pin hole, hammer pin hole, safety selector hole, fire-control pocket, and trigger slot has not been completed. 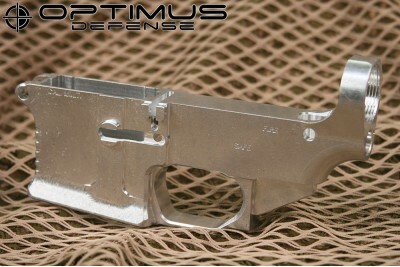 Optimus Defense has a letter from BATFE stating that this 80% Lower is not a firearm. 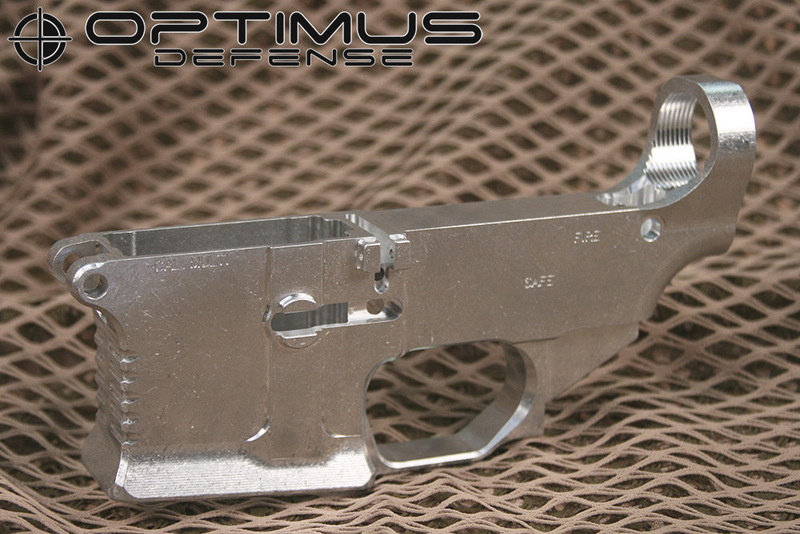 For each Optimus Defense AR-15 Lower purchased though this website, Optimus Defense will donate $20 to The Calguns Foundation.